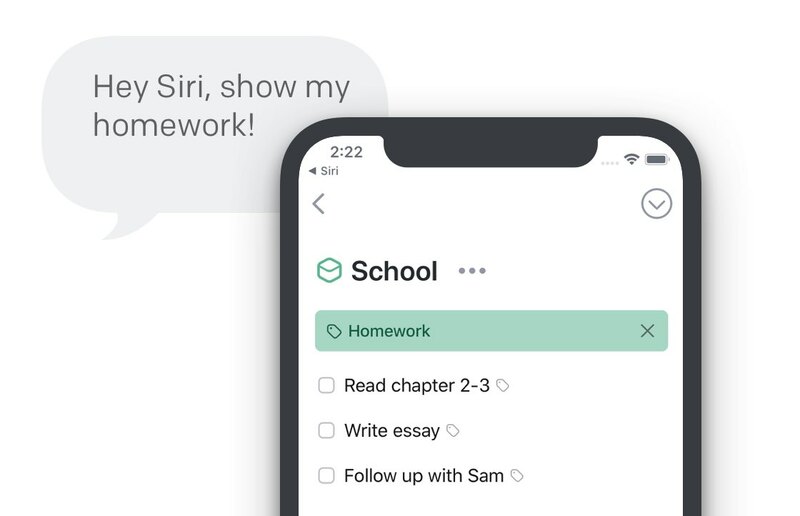 This page outlines all the ways you can use Siri to create and view to-dos in Things on your mobile devices. "Using Things, remind me to buy milk tomorrow at 5pm in my Shopping list." 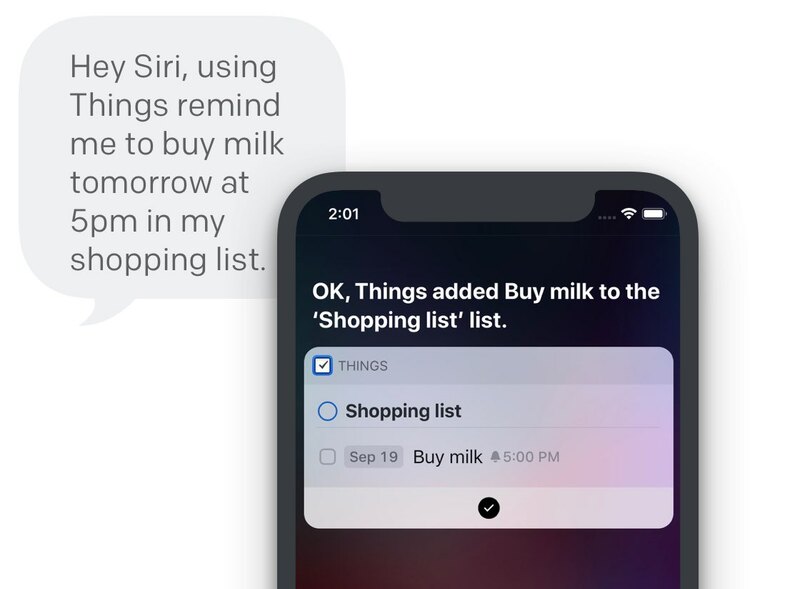 Siri will create a new to-do with the title “Buy milk” in your Shopping project and a reminder will go off tomorrow at 5pm to nudge you to stop by the store. Learn more about dictating to-dos. Siri will learn your routines and begin suggesting things that you might want to do. 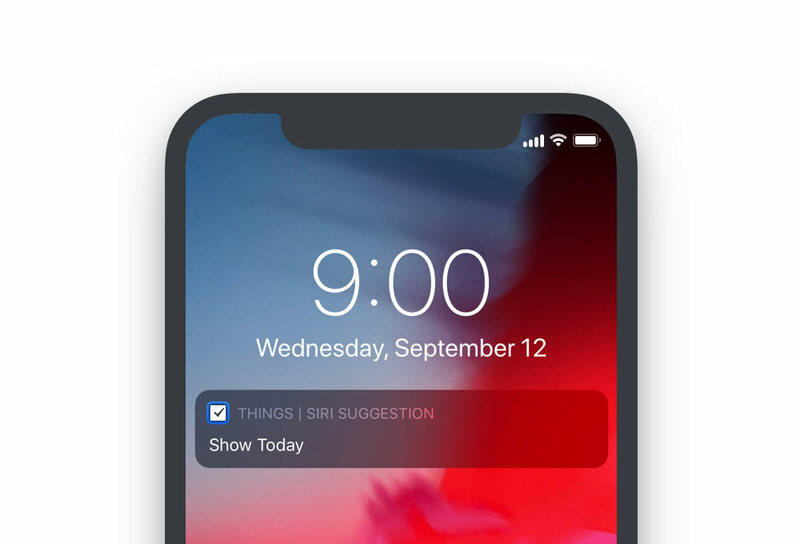 For example, if you open your Today list every morning around 9 AM to look over your to-dos, Siri will eventually pick up on this – and the next morning at 9, you might be greeted with a new “Show Today” shortcut right on your Lock screen. Tap the shortcut, and you’re instantly brought to the right place within Things. Learn more about Siri suggestions. Adding new to-dos directly to the Today list instead of the Inbox. Adding new to-dos directly to a specific project or area. Adding to-dos with a specific tag already prefilled. 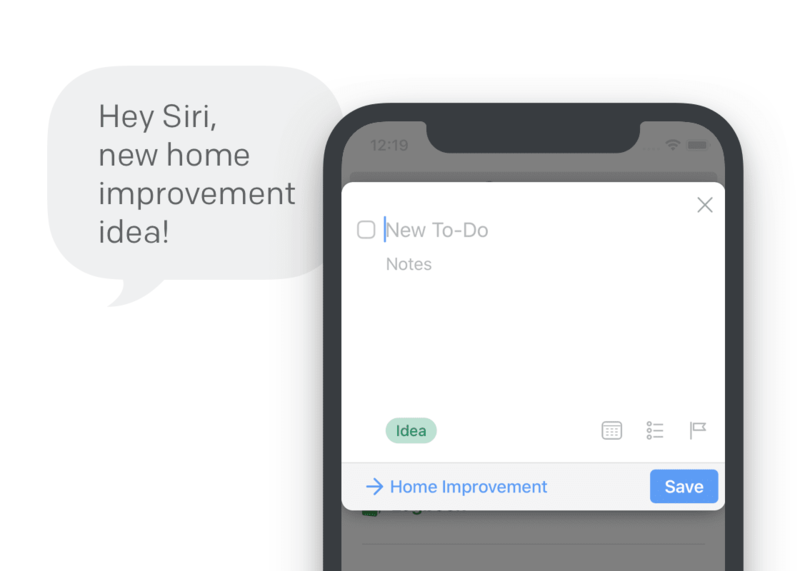 Now the next time you realize something needs to be done around the house, you can just say your voice command, and you'll be presented with a prefilled Quick Entry popover. All you need to do is enter the title and hit save. Learn more about using presets with Siri. 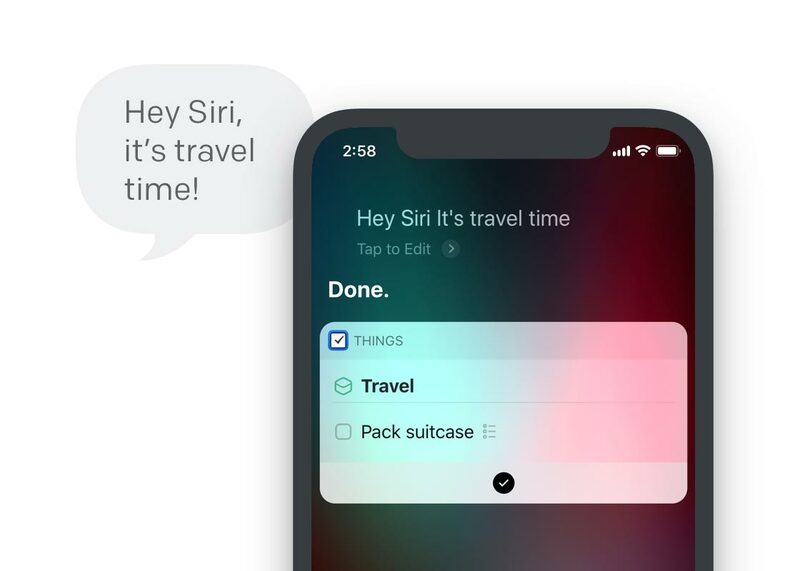 Siri will now trigger an action in Things that creates a new to-do in your Today list with the title “Travel checklist” and which lists all the items you need to bring on your upcoming trip. Learn more about creating ready-made to-dos. Learn more about custom list views. All the shortcuts you create in Things can also be used as "actions" in Apple's own Shortcuts app. Learn more about Shortcuts app.